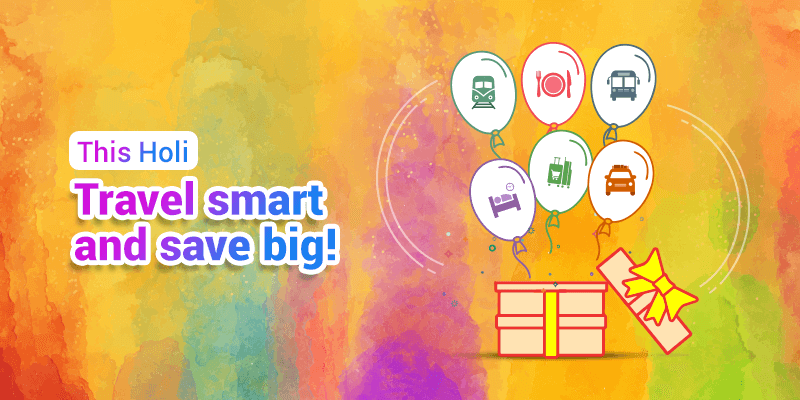 Home BuzzIn Colorful offers for a Mega Holi! 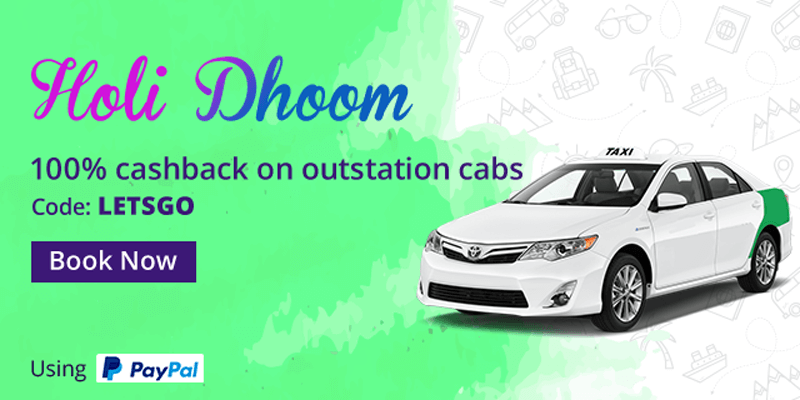 Let us give you some new reasons to travel back home and celebrate a memorable Holi this year. RailYatri cares about your travel plans and that is why we have created a garland of great offers that are sure to inspire you into traveling. We understand that the best way to celebrate the festival of colors is to be beside your near and dear ones. Your train journey is upon us! 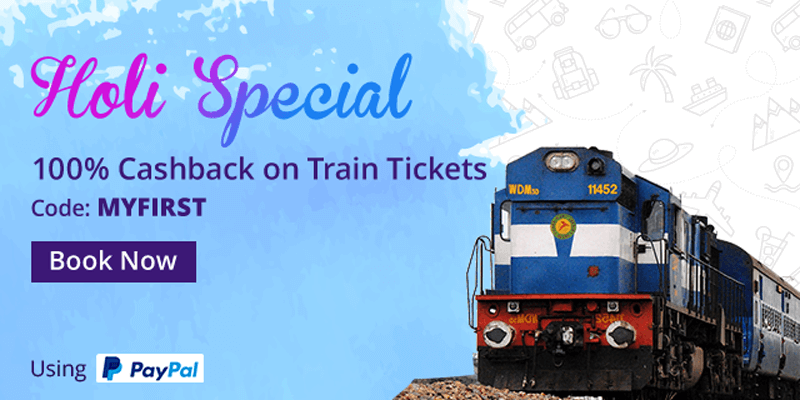 If you are planning a train journey back home, we have the perfect offer in store for you. Pay for your train tickets through PayPal and you could get really lucky. Yes, we are offering 100% cashback to a few lucky winners, getting their bookings done through RailYatri. And all you have to do is punch in the mentioned code to avail this lucrative offer! A memorable bus journey with big savings! There are many cities and towns in India that are well connected through regular bus service. If you are planning on visiting any such destination, use RailYatri’s bus booking service to make your journey memorable. And while you are making the payment, choose PayPal as your payment source. 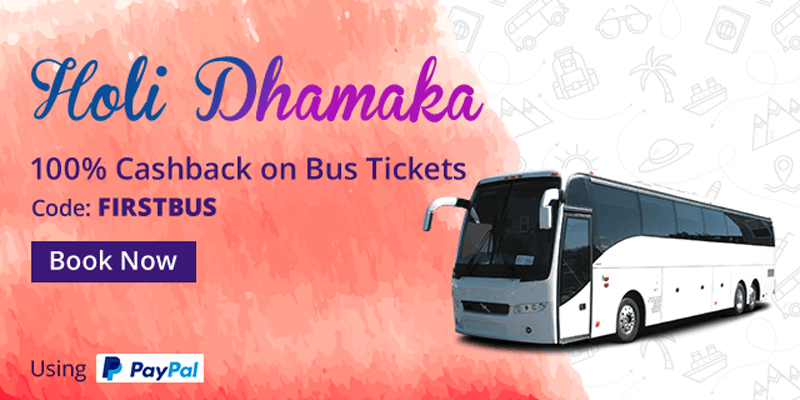 This simple act could stand you a chance of winning 100% cashback on bus ticket bookings. A great reason to move out of the city! If you want to spend this Holi far from the maddening city crowd, then RailYatri has just the offer for you. Select a cab matching your travel group. Remember to pay for the billed amount through PayPal and we would offer you a hefty cashback to your wallet. Holi is as much about taking a break from your everyday life, as it is immersing in the array of colors. And what better way of attaining that than by staying at one of our luxurious hotels, situated nearby a railway station or tourist place. And if you pay for the hotel via PayPal, you could stand a chance of getting 100% cashback. A hotel stay that is high on comfort and big on savings! Where would you get such a deal? Your Holi treat on train! 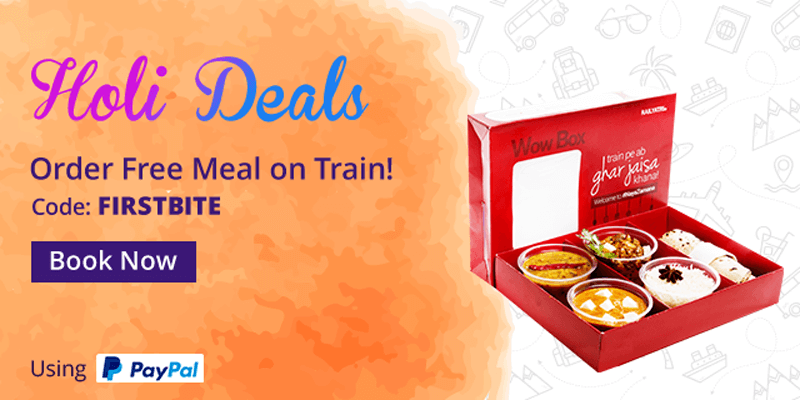 Immerse in the festive mood of the season by ordering delicious meals on train from RailYatri. Let your Holi celebrations start early with our special Holi food offerings. And guess what, if you are steadfast you could win 100% cashback. Meaning you eat the most delicious food and get the money reverted to RY Wallet. Buy gifts at no extra costs! Have gift purchases, for your near and dear ones, on your mind? Well, RailYatri gives you reasons to go shopping. 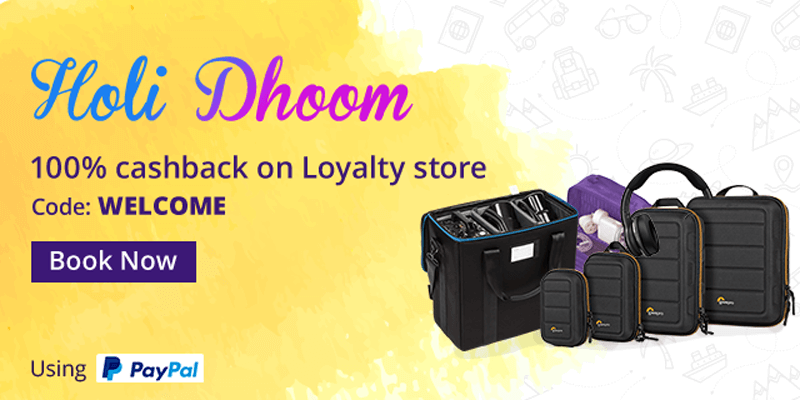 You could purchase from a colorful range of Holi products from our Loyalty store, and on making the payment through PayPal you could win 100% cashback. We would like to remind you that specific Terms & Conditions are applicable for each of the above mentioned offers. So, please read the offer details carefully and remove any doubts. So, stop pondering and start acting. All the offers mentioned above are time limited. Make your Holi not only an extravaganza of color, but also a gala of savings! Previous articleRailYatri Flexi Stays: Bookings on your terms!